Military aircraft in a salvage yard. 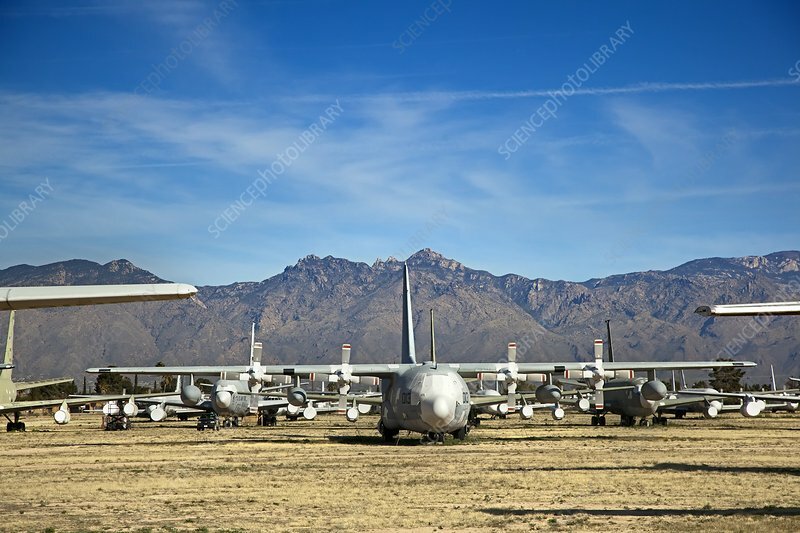 This is the aircraft graveyard at Davis-Monthan Air Force Base, Tucson, Arizona, USA. It is the largest of its kind in the world, with hundreds of old military and other aircraft stationed there to either be stored indefinitely, pulped, stripped, or restored for service.